J3 started it's venture with the vision in providing a healthier and affordable range of beverages, mainly focus in serving cold pressed juices, protein packed nut milks, probiotic drinks and natural flavored honey sodas - Honey Fizz. J3 Cold Pressed Juice is all about sharing these wonderful healthy beverages. This is why we are constantly reaching out to cafes, restaurants and hotels to wholesale our healthy beverages. 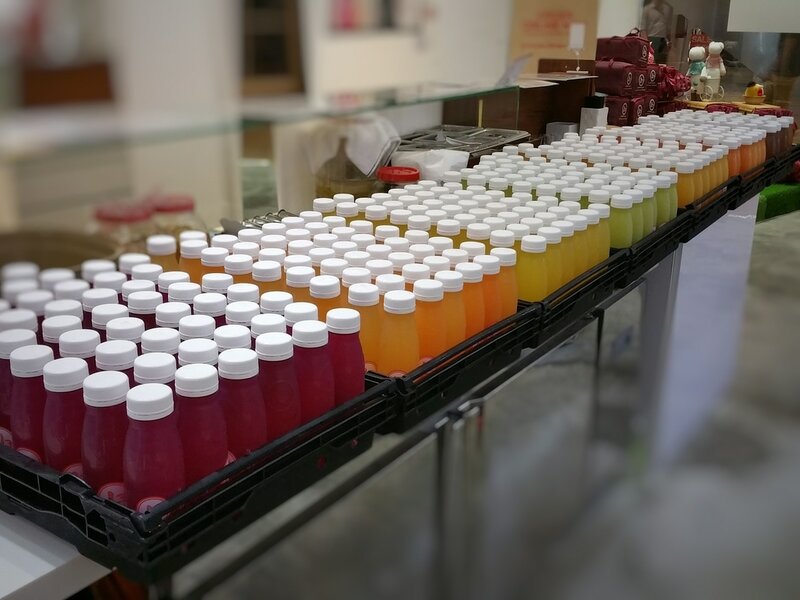 With the commitment to quality and freshness, we press our cold pressed juices and deliver them daily to our customers. Contact us and we will be more than happy to arrange a meet up for your team to try our samples! Aside from wholesale options, we have other arrangements to cater your business needs. ​Please contact us at contact@j3juice.sg for more info and for us to show you our wholesale portfolio. 250ml Cold Pressed Juices. No sugar, water added to the juices. 7 flavors available. 350ml Cold Pressed Juices. No sugar, water added to the juices. 14 flavors available.